Asian fusion at its best! Thai sticky chilli jam pork ribs meaty goodness balanced with a beautiful delicate garnish will please even the most discerning customer! Rinse the pork ribs and cut tiny slits in the meat. Mix the KNORR Thai Sweet Chilli Jam and sugar. Spread over ribs. Whisk the sweet soy, oyster sauce and water together. Cook ribs in soy mixture for about 1.5 hours. Remove ribs and set aside for char grilling. Reduce soy braising liquid by 1/3 or until sticky. 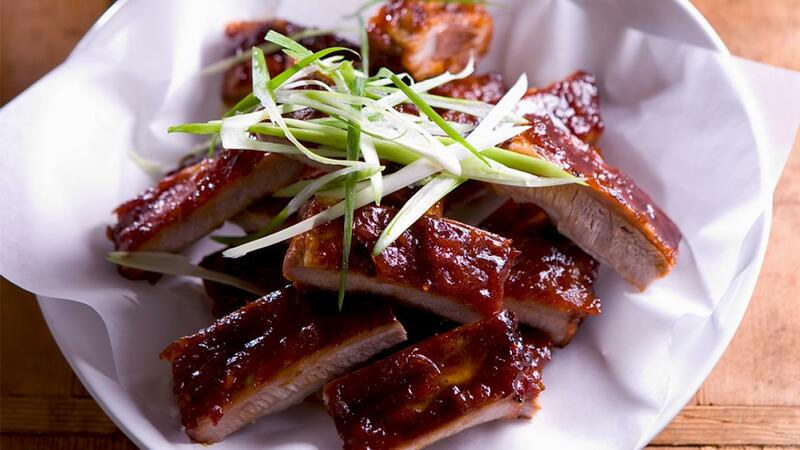 Serve char grilled ribs with sticky sauce. Garnish with shallots, lemongrass, chilli and lime.